Tokyo Hobby Show 2013 announced new product list – Egress re-release!!! 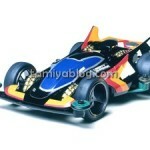 As evolution of great car Avante, and dominated the topic of high-end off-road scene at the time! 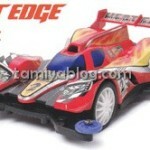 Racing buggy user long-awaited “Egress 4WD” is reprinted finally! ! ★ Motor shaft vertically crossed the flow of the finest cars Avante appeared in 1989 “Egress 4WD” adopted drive 4WD. 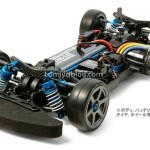 Carbon double deck chassis, which is long wheel base of the foot and around, became a resin large capacity high cap aluminum damper, equipped with cent over torque splitter differential to the drive system, and as Avante development team at the time in JMRCA All Japan Championship, which was held the same year was formed, such as winning four of the (Tamiya Racing Factory) TRF just, showing off the high ability directly below. 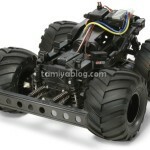 ★ Said to have been the pinnacle of racing 4WD Buggy Tamiya starting from Avante “Egress 4WD” will finally resurrection. Long wheelbase carbon chassis to lower deck based on the Avante as well as at the time low center of gravity by mounting the servo. Upper adopting the carbon plate trying to cut out all, Roadekki, the center hybrid studded tires, high-capacity torque splitter def, in light weight wheel was also equipped with high cap damper, it is the model that Avante has evolved ultimate exactly. The hit to the re-appearance of the time, I was equipped with the new ball differential, a universal joint. This entry was posted in Future Releases on August 22, 2013 by admin. Advanced from the new user to have received wide support, a heck of a double shaft motor deployment second bullet of the type MA chassis comes up soon. Volume with the motif of a prototype racing car very popular And canard tip of the front fender both sides, big shark through from the rear cockpit fin features. A canopy and aerodynamic and compact around fender with intonation, and blast arrow I adopted a form that changed the Procida. New machine that incorporates thoroughly highest peak of the racing machine, the design of the formula car, Shadow Shark fourth bullet REV series four wheel drive two. Shark fin and Hainozu characteristic intake both Aerodynamic process was Lend. Also open air intake induction pod and side pontoons nose and to prepare the air intake to below and better use more air in conjunction with AR chassis. It is a machine to spread the world of a new run. Completely reproduce the type of 2013 Best of the Best Harley 1/6 Big Scale to be first time in 17 years! Vehicle by thorough research to purchase, and algae Softail family proud of the overwhelming popularity the “Fat Boy Lo”. V-twin engine of Harley tradition, put the cylinder block to the crankcase pay attention to the structure of the vehicle as well. Form of the force, of course, the movable lever and suspension, pedal other enjoyable, high texture metal plating and parts, such as soft resin is attractive. All brand new TRF418 chassis is registered towards the IFMAR World Championships to be held in 2014 field. Machine a whole new main parts all test tires and power source of latest. Main chassis section course in minutes, to link the servo mount and suspension arms, stabilizer also has become a new design. 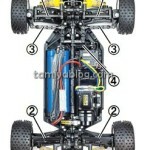 Aluminum motor mount and also bulk adjustments, such as weight and front/rear balance. 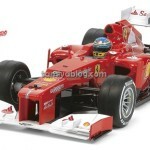 It is a machine that has been developed in for the victory of the race. This entry was posted in Future Releases on August 16, 2013 by admin. This entry was posted in Future Releases on August 6, 2013 by admin. This entry was posted in Future Releases on August 2, 2013 by admin.